A £50 discount just in time for Christmas. 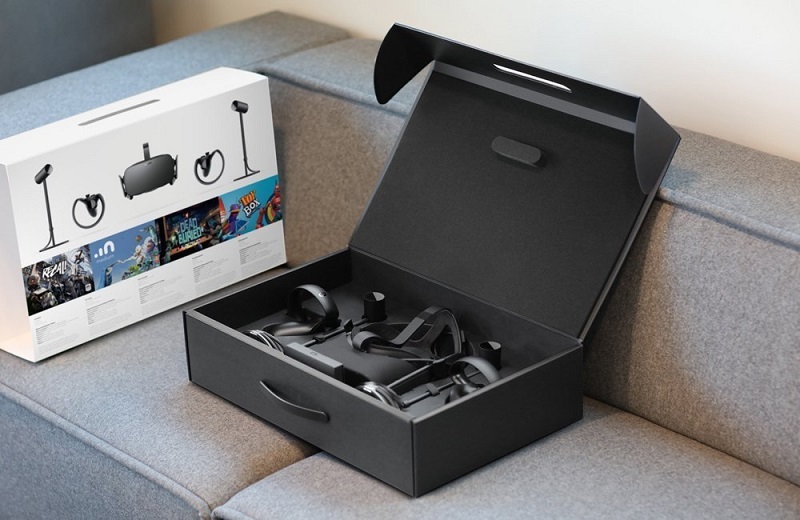 Read more on the Oculus Rift's reduced pricing. Got one on Saturday, simply because I bought a TV 5 years ago from Comet and it went pop and they couldn't fix it so I got my money back, had enough to cover buying one and it's awesome especially playing Elite!! It really is the absolute best in comfort and WAY better and natural feeling controllers than the HTC Vive. Just a piece of advice.....play Lucky Tales SITTING DOWN....NOT STANDING. You WILL get disoriented. The CV1 is brilliant, I play Elite Dangerous exclusively with it, Truly amazing. I might pick this one up for christmas, some sweet VR for the girls. I'm tempted to pick this up to mess with Fallout 4 VR. Wish I had the spare cash. I've really been getting into Elite Dangerous lately. The sheer scale and presence in VR in ED is truly epic, Especially launching out of a Cutter or Corvette in a fighter, Serious "Holy **** this is immense!" material.